My son really enjoys the I Spy books. He could spend hours looking for the items and seeing what all he can find in the pages. He is always coming up to me and showing me what all he can find. Just seeing the excitement when he searches for things on those pages made me want to create something that he could manipulate and find items. 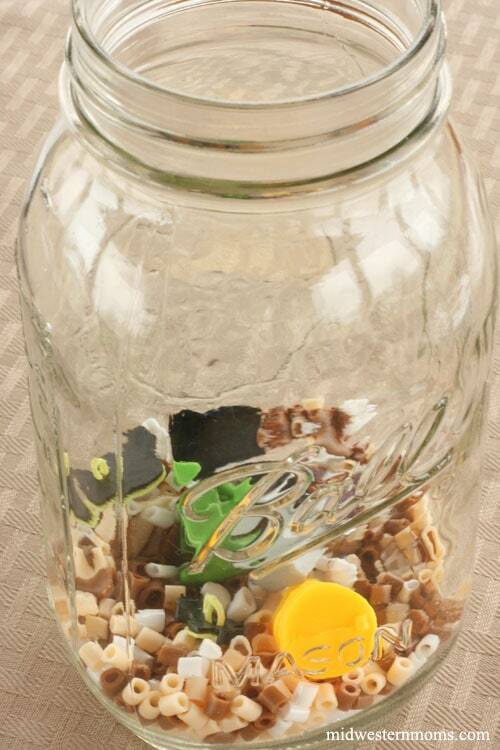 So, I decided to make an I Spy Jar. 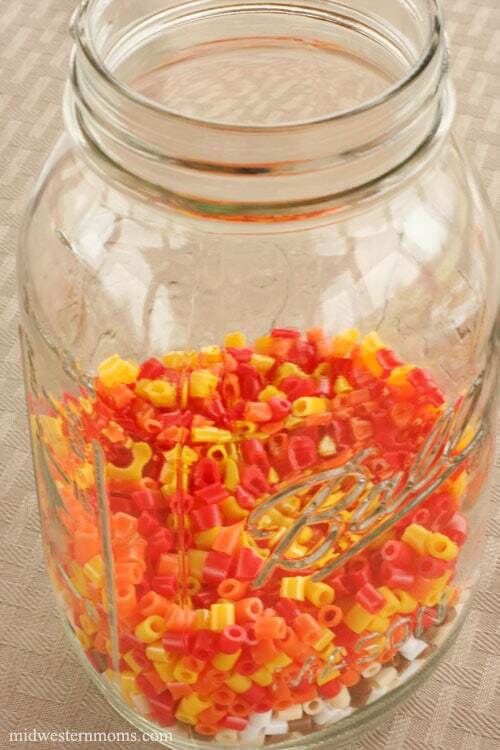 Making this jar was very simple. 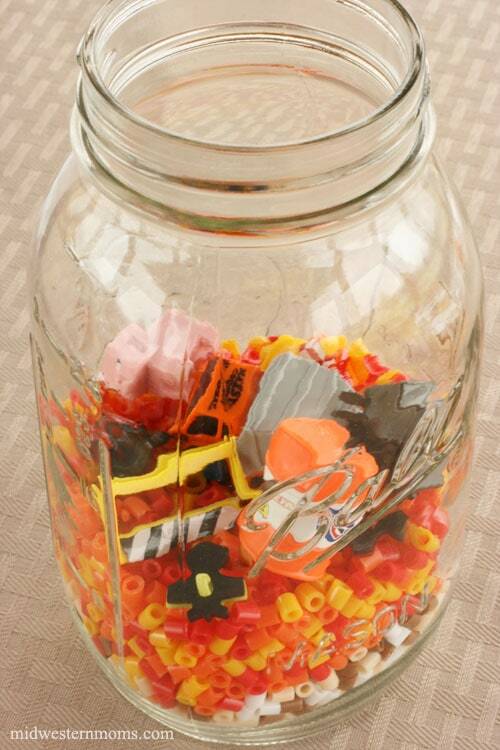 Your kids can even help make the jar. 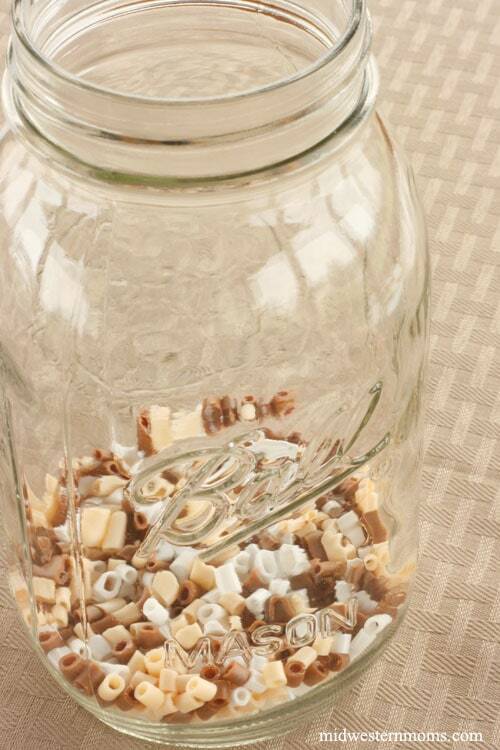 The hardest part was finding small objects to put in the jar. My shopping options are limited as I live in a very small community. I picked up some small Minecraft figures, a truck, and buttons. 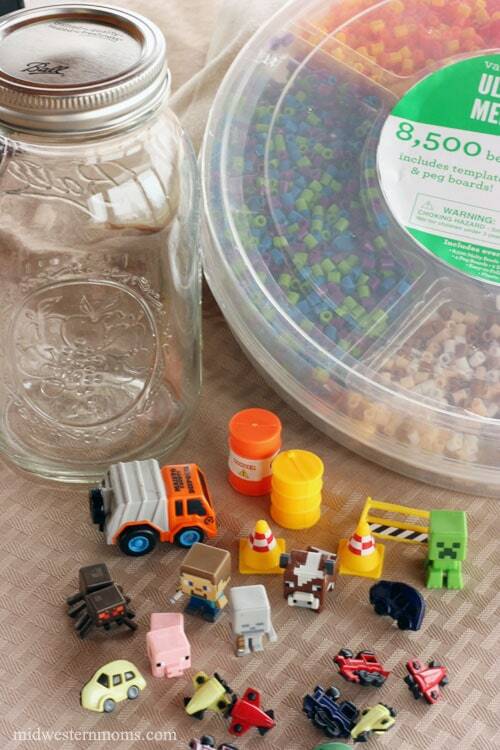 I found some small barrels, traffic cones, and a road sign to add that my son already had from a car set. Step 1: Fill the bottom with some of the melting beads. Step 2: Add a few of the small items you collected. Step 3: Add another layer of melting beads. I chose to add another color set for this layer, that way the you can bet a better mix of colors when you are done. Step 4: Add more of your small objects. If you have a larger item, like the truck, make sure to add it in this layer. Step 5: Add another layer of melting beads. I used the rest of the beads like the first layer and some of the second set color. Step 6: Add the rest of the small items that you have. 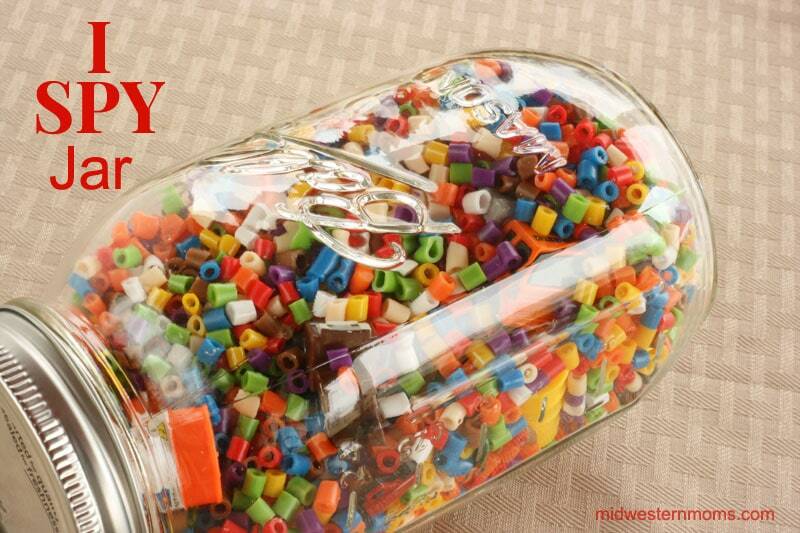 Step 7: Add more melting beads to fill up the jar. 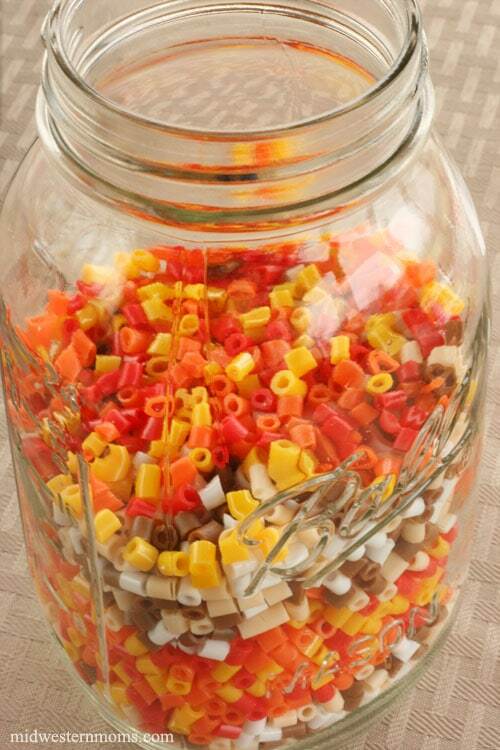 Don’t fill the jar all the way full. You will need to be able to shake it around so you can find the objects inside. I had to use another color set since I ran out of the other colors. Place your lid on your jar. Give it a little shake to mix up the beads and you are done! 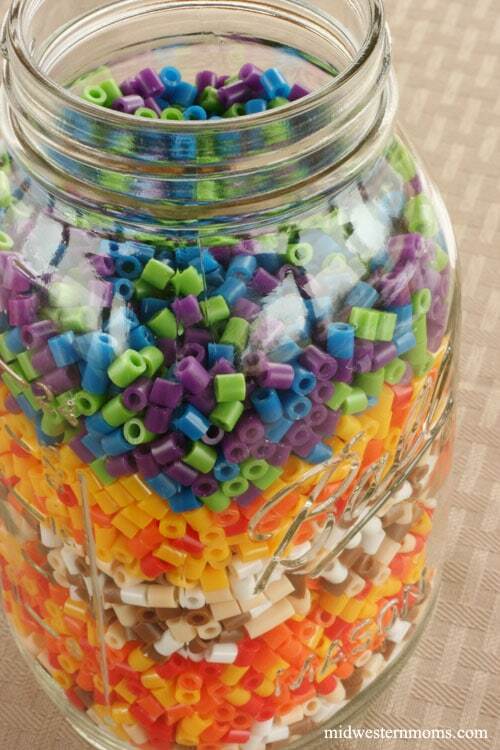 My son was so excited about his I Spy Jar. He gives it a shake and and gasps when he finds something inside. I have to smile when I see his face light up as he plays with the jar. 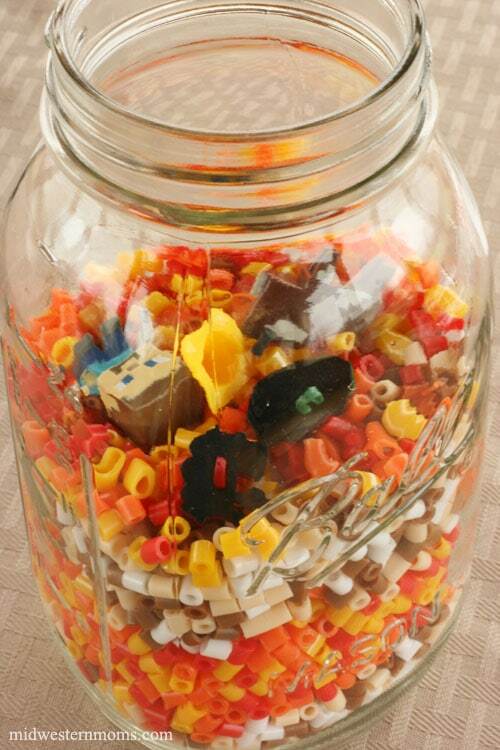 If you were to make an I Spy Jar, what items would you place inside? This is really cute! I’ve actually never heard of anything like this. I love this idea! My little guy loves I Spy books, too. I need to make him one of these! I love this! I can’t wait to make one! This is so cute! I am definitely going to fix one (or a couple) of these up for my son. He will love the Minecraft objects and I may also do a Lego figure one. There are all sorts of possibilities. Thank you so much for sharing!! I hadn’t thought of a Lego figure. That would be awesome to add! This is a great idea!!! Perfect for dr appointments or long car rides! Pinning! Thanks for sharing at the Tips & Tricks Linky Party. 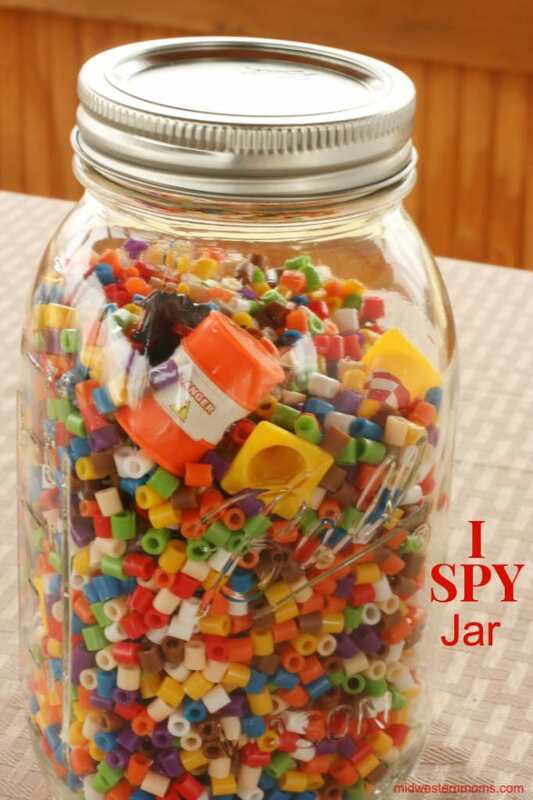 What a fun I Spy jar! So many things to look for and it’s so colorful!